Hello group. 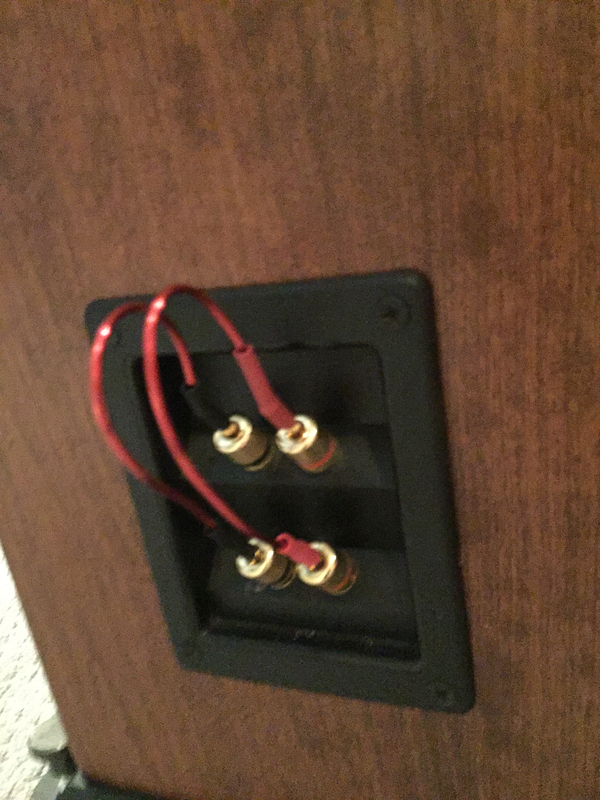 I purchased a set of RTi70 speakers, but I am missing a Gold plated, removable bridging bar on one of them. I have spent sometime but have come empty trying to find one. Can somebody tell me the actual Polk name or Polk part # and where to find one. I am OK if there is a generic replacement. I have temporarily solved the issue by putting a piece of speaker cable. 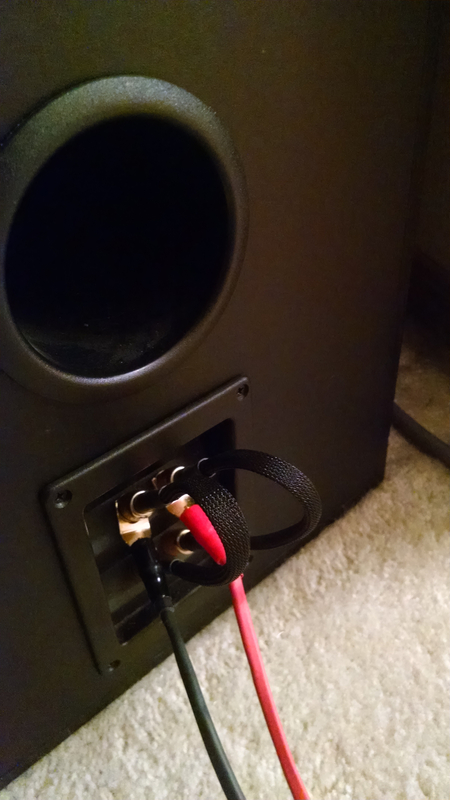 I would think that speaker value is somewhat lowered by having the wire instead of the bridging bar or am I mistaken? Replace them with HIGH quality speaker cable. Stock jumper plates leave a lot to be desired. Thanks for the input decal. Thanks for the input ken brydson. I was looking to make my own speaker cables. 1. Design - Is there an optimum design? I was thinking having a banana plug at the receiver end, twisting together the speaker end to a 6 inch piece and crimping a spade to the twisted end and to the other remaining end of the 6 inch cable. 2. Banana plug - Is there a mid grade banana plug you would recommend? 3. SpadeIs - Is there a mid grade you would recommend? 4. Speaker wireIs - Is there a mid speaker wire and gauge you would recommend? 5. Is there a mid grade Jacket you would recommend? 6. Length - Is there a length one should not exceed? 7. Is there any other factors to consider? @ultrasoudproductions I echo what the others have said about Doug. He helped me out very affordably with some great speaker wire that he customized to match my spring-type speaker connections. Doug does great work. 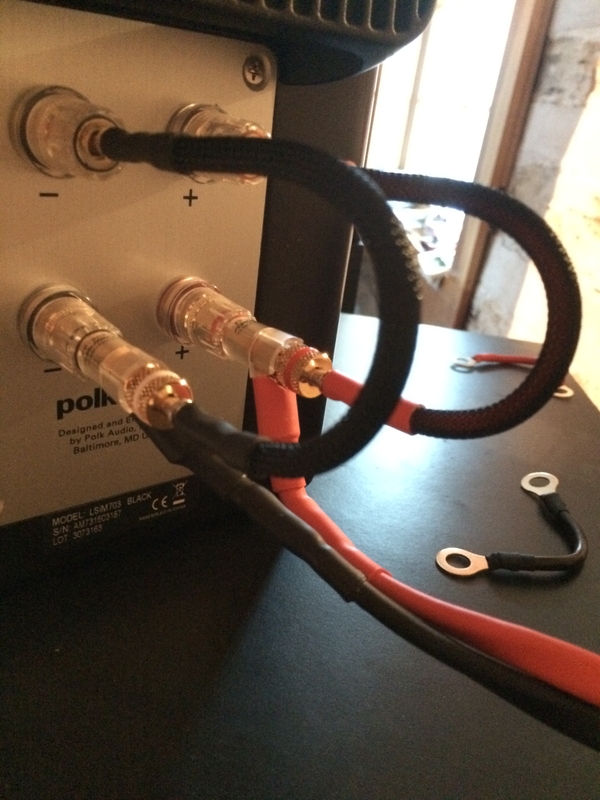 Hopefully I'm appending a photo of some jumpers Doug made for me from six inches of my speaker cables. Its advisable to use the same wire in your jumpers as your speaker cables. As F1Nut said, use high quality cable. Doug also reterminated my speaker cables shown in the photo with some really nice Furutech ends. Talk to Doug and he'll set you up however you choose to go. Doug is my LSAF morning coffee buddy. I agree with the group. Doug and his cables are excellent. I have a complete system of them from XLR to RCA to Speaker. You can’t go wrong with his works or experience.